Use cases have, for some years, been a popular approach to specification, as part of the Unified Modelling Language (UML). However, a number of authors have pointed to weaknesses with the approach, particularly in terms of the support offered to the writer of the use case description. 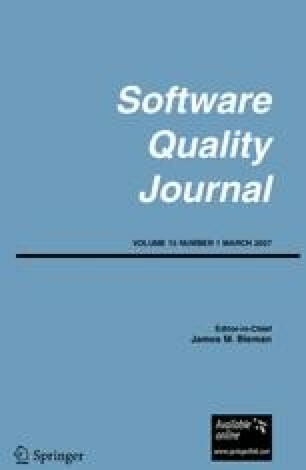 This paper describes a Use Case Description Quality Checklist that acts as a check on the quality of the written description. The checklist is derived from theories of text comprehension, taken from the Discourse Processing community. The checklist approach has a number of benefits. First, the approach can be used to derive, or examine further, use case guidelines. That is, by considering whether such guidelines are likely to result in desirable qualities within the resulting description, one is able to make an informed judgement about the utility of those guidelines. Second, one can test for the desirable quality features in existing descriptions, thus enabling empirical validation. Third, as a minimum, the quality features can themselves be used as a checklist for the examination, and revision, of use case descriptions. To demonstrate applicability, the paper reports upon the use, and success, of the approach on an industrial case study. Karl Cox has a Masters degree in Software Engineering and a PhD in Computer Science, both from Bournemouth University. Dr Cox’s research interests are centred on requirements engineering, specifically: the Problem Frames approach as a means of providing a framework for understanding the problem context of business needs; goal modelling, combined with problem frames, as a means of describing business goals, strategies, and objectives that are aligned to software; process modelling, which captures the details of processes that businesses implement to carry out their daily work; and use cases, which is concerned with ways to improve the comprehensibility of use case descriptions, and the misunderstanding and misuse of use cases that often occurs. Prior to joining NICTA, Dr Cox was a Research Fellow in the School of Computer Science and Engineering at the University of New South Wales (UNSW), Sydney, Australia, and Lecturer at Bournemouth University in the UK.